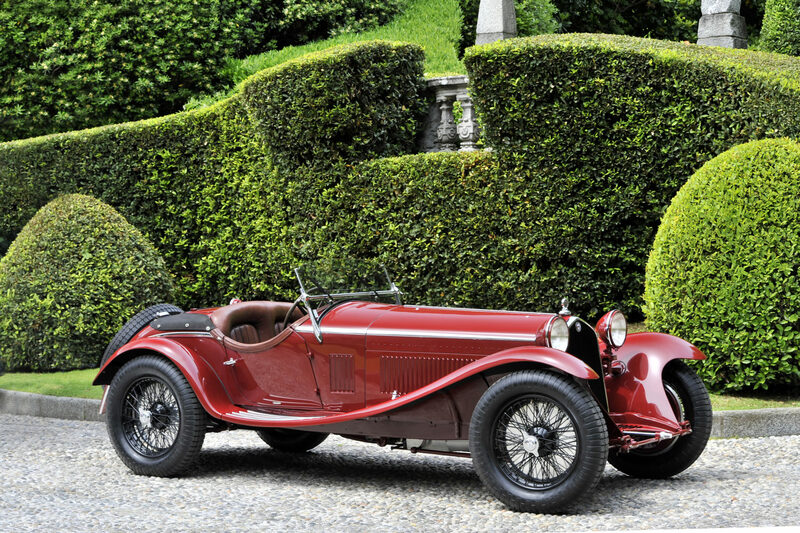 The Alfa Romeo 8C 2300 of the early 1930s was the most successful racing car of its period. Launched in 1931 as an evolution of the 6C 1750 GS, it was the last evolution of the “Alfa Romeo 6C” project, initiated in the middle of the 1920s by the great engineer Vittorio Jano. The Carrozzeria Zagato became the best partner for Alfa Romeo in building the success for its important range of racing cars. The partnership began with the Alfa works cars bodied by Zagato in the second half of the 1920s and then, in the following decades, was followed by the incredible victories with the new Alfa Romeo 8C 2300 Zagato (and its subsequent evolutions), brought to racing by Scuderia Ferrari. Enzo Ferrari, inspirer, founder and sports director of the official racing team’s works cars of Biscione, had selected Zagato as a technical partner because of its specialization in creating light and aerodynamic racing bodies, inspired by aeronautics. The Alfa Romeo 8C 2300 Zagato, in different versions (two-seater Spider “Corto, four-seater Tipo Le Mans Tourer and Tipo Monza), dominated the most important races of the period (among them the Mille Miglia of 1933, the 24 of Le Mans of 1931 and 1932, the Targa Florio and 24 Hours of Spa). Based on documentation, however, two chassis received coupé bodies to be made into fast and elegant sports cars for road driving.